Why are teeth important to overall health? 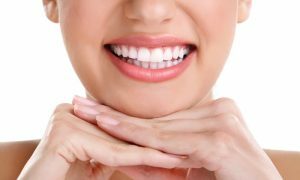 You know your teeth are important, keeping a white smile and a healthy mouth are extremely important to a confident smile and pearly white teeth. But there are other positive benefits to keeping your mouth squeaky clean. Not only does it keep your teeth clean, keep you from any painful and expensive dental work and prevent bad breath, tooth decay and gum disease but it helps you to keep your teeth and body healthy for years to come. How can brushing your teeth keep your body healthy? A healthy mouth may help you ward off many medical issues such as heart attack, stroke, diabetes and other diseases and illnesses. Your mouth is a window into your body and detection of any other symptoms or illnesses that may be lurking. There are many systemic conditions such as AIDS or diabetes, for example, often first become apparent as mouth lesions or other oral problems. In fact, according to the Academy of General Dentistry, more than 90 percent of all systemic diseases produce oral signs and symptoms. Your doctor can not only look in your mouth for potential issues but they can also check for a variety of issues by testing your saliva such as; high cortisol levels in saliva are used to test for stress responses in newborn children. And fragments of certain bone-specific proteins may be useful in monitoring bone loss in women and men prone to osteoporosis. Certain cancer markers are also detectable in saliva. A threat that is very present in your mouth, especially in relation to your dental upkeep is plaque. If you aren’t properly brushing or flossing, plaque will build up on your gums and your gum-line which creates a perfect harbor for bacteria in certain areas between your teeth and in your gums. A dangerous gum infection is gingivitis but left unchecked, gingivitis can lead to a more serious gum infection called periodontitis. The most severe form of gum infection is called acute necrotizing ulcerative gingivitis, also known as trench mouth. That is why it is so important to regularly check your teeth, and see your dentist frequently. In addition, infected teeth can often make you feel sick and extremely fatigued, as well as other flu-like symptoms. So if you are feeling exceptionally under the weather and have an aching tooth you may be suffering from issues related to the infected tooth making it very important to have it extracted or filled. While visiting the dentist frequently can help detect any issues, making sure you keep up your dental routine of twice daily brushing and flossing. Make sure that you combine mouthwash and rinsing after each meal is very important. Make sure to speak to your dental professional about the right steps for making sure your mouth is clean and healthy, and ensure that they do a thorough check of your oral health each time you visit so that your smile is more than just beautiful. It’s healthy too!